10 August 2012: International superstar Beyoncé performs her song "I was Here" at the UN General Assembly. Beyoncé, the UN and aid organizations launch campaign to highlight global humanitarian work and the spirit of people helping people. International star Beyoncé, the UN and humanitarian aid organizations have launched a global campaign to shine a spotlight on humanitarian work and encourage people around the world to get involved by doing something good for others. 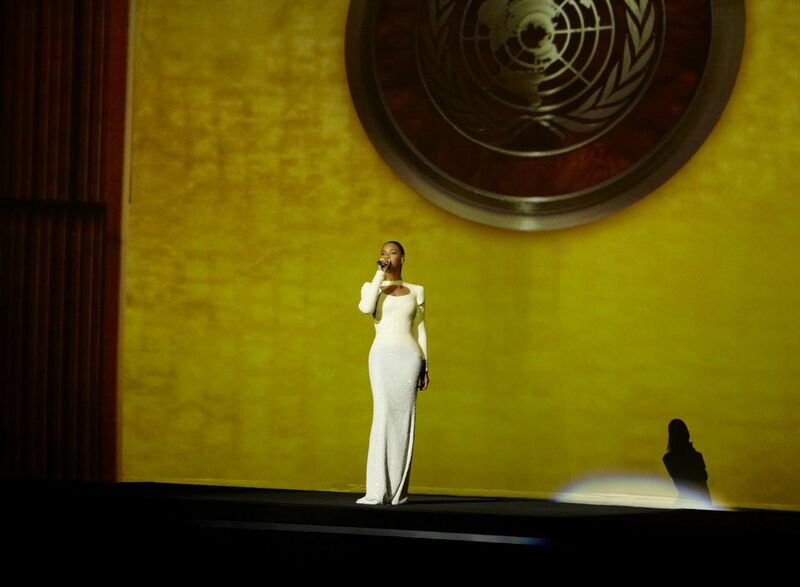 The World Humanitarian Day music video for Beyoncé’s song “I Was Here” will be filmed in the UN General Assembly Hall in New York tonight in front of a live audience. It will be released globally on 19 August. Beyoncé and songwriter Diane Warren are donating the video to the campaign. The campaign is being run in collaboration with award-winning advertising agency Droga5, the UN humanitarian arm’s lead agency for special projects. Production company Ridley Scott & Associates and director Kenzo Digital will help bring the initiative to life. Follow updates from tonight's music video event on Twitter via @UNOCHA, #WHD2012 and #IWASHERE.